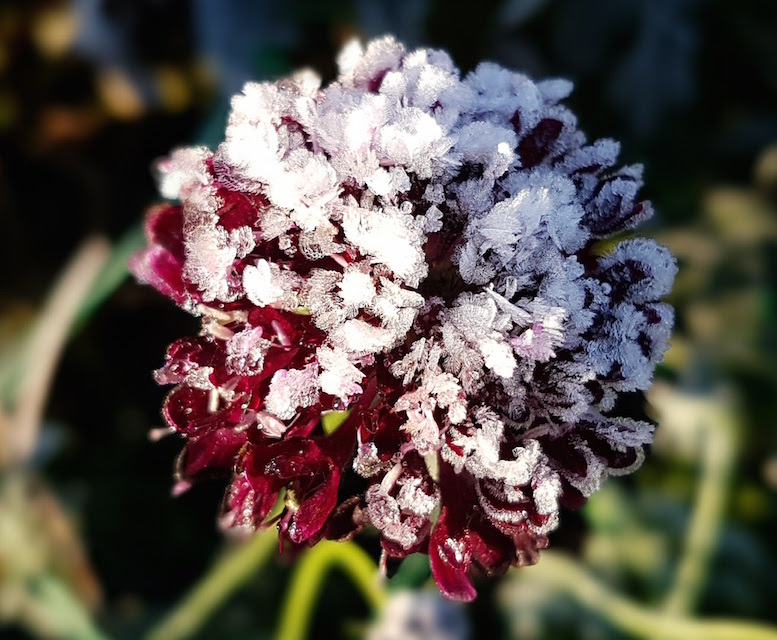 ABOUT - The Spotted Dog Flower Co.
My name is Linda and I work full time in the business of growing and selling flowers, with husband (Father Ted) helping whenever possible, especially if there is a tractor involved or grass to be cut. Daughter Louise is good at modelling flower crowns, looking pretty and riding the horses that provide the manure that helps the flowers grow. The chance reading of an article in the Yorkshire Post whilst faced with redundancy from a job in IT, and the discovery of the organisation Flowers from the Farm, led to the birth of The Spotted Dog Flower Co. in the spring of 2014, just in time for Mothers’ Day, when we sold 8 bunches of flowers, the following year we had progressed to 40 and began to feel like a real business. Our spotted dog Mulberry, after whom the business was named is sadly no longer with us, but his legacy lives on in our name and colourful logo. New dog Loganberry is happy to continue the digging of holes and burying of bones in the flower field with his friend Archie, whilst ignoring important job of pest control. Horticulture is in my heritage, with one set of farming grandparents and the other set market gardeners, both in Cheshire. It skipped a generation, but starting with creating my first garden from a field, more years ago than I care to remember, I have continued to learn and develop my horticultural skills., Since that time I've researched growing techniques extensively, learned from others what to do and what not to do and developed floristry skills, working with some of the best in the industry. The thirst for more knowledge and skills continues with a passion. 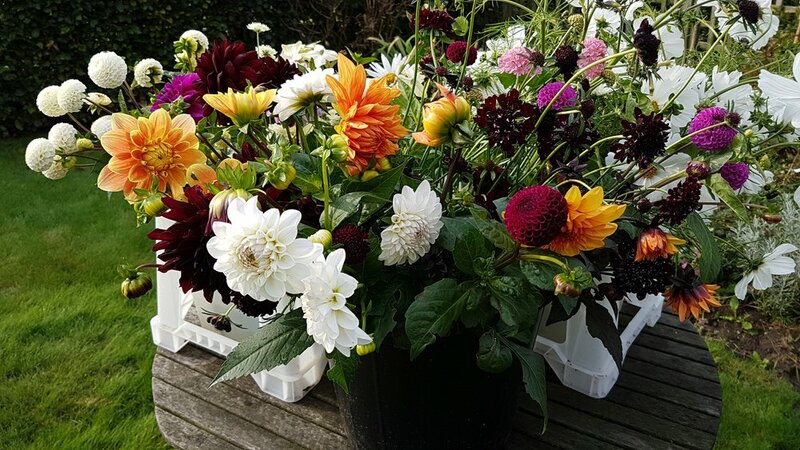 I am also passionate in supporting the resurgence of the British Flower industry, as the East Midlands voluntary co-ordinator for Flowers from the Farm and a commitment to using British flowers in my own business. The flowers are grown on an unforgiving area of sandy land in the Trent Valley just outside Gainsborough where the flower field arose from a section of horse paddock. They are grown with the environment in mind and I am delighted by the increase in the number of birds, butterflies and other wildlife that visit the field daily. There are a few pests I'd rather not see but I'm learning to live with them or finding methods to outwit them. Our main season runs from April to October. We do have some flowers a little earlier and later depending upon the weather. Many varieties are cultivated and each year we grow something different. The field is full of old favourites like larkspur, cornflower, foxgloves, sweet peas, scabious, dahlias together with seedheads and grasses for a natural look. They are grown for a variety of events from weddings to funerals and bouquets to buckets or bunches for flower lovers. Outside of the cutting season the work continues with digging, mulching, improving the land, creating new flowerbeds and improving existing ones. Then there is the planting of bulbs, seeds and shrubs, a year round process to ensure a succession of flowers through the cutting season. I also give talks to clubs, gardening societies and anyone who loves flowers. Contact me for further information. I hope you enjoy browsing this site and look forward to meeting you at a future event.